Igor Andreev has withdrawn from the Rome Masters with a shoulder injury. The Russian was to face Enrico Burzi in Sunday's qualifying round of the clay-court event, but did not appear on court. It was the same problem, a strained right shoulder, that forced Andreev to retire from last week's Madrid Open, where he was a set down to Gael Monfils in the second round. The Rome Masters is a key tune-up event for the French Open, which starts May 22. Novak Djokovic and Victorkia Azarenka head the seedings. Janko Tipsarevic advanced to the second round of the St. Petersburg Open with a 6-2, 7-5 win over Olivier Rochus. Igor Andreev rallied to upset Marcel Granollers 3-6, 6-4, 7-6 (4). Tipsarevic broke Rochus twice in the first set and served for the match at 5-2 up in the second. But Rochus broke him twice to level at 5-all. The Serb then broke for the third time and served for the match. He double-faulted on his first match point at 40-30 before closing the match on his second serve. Igor Andreev of Russia rallied to upset sixth-seeded Marcel Granollers of Spain 3-6, 6-4, 7-6 (4) and advance to the second round of the St. Petersburg Open. After trading sets, the 117th-ranked Andreev saved a match point while serving at 5-4 down in the decider to force a tiebreaker. Serving at 5-4 up in the tiebreaker, Andreev landed a precise backhand down the line to earn two match points and then served a winner to close the match. Andreev said he was struggling with his first serve in the first set. Igor Andreev lost to Andreas Seppi 2-6, 6-3, 7-6 (4) in the first round of the Kremlin Cup. Andreev, who reached a career-high ranking of No. 18 in 2008, has dropped to No. 115 and hasn’t made it to a quarterfinal this season. He will decide his future in tennis later this year. “You cannot beat anyone playing on one leg,” he said. The Russian broke twice to win the first set. But Seppi, ranked 53rd, made one break in the second set and one more early in the third to serve for the match at 1-1 and 5-4 up. But the Russian broke back to force a tiebreaker. David Ferrer rallied from a set down to beat Igor Andreev in the first round of the U.S. Open on Tuesday. The Spaniard won 2-6, 6-3, 6-0, 6-4. He hasn’t lost in the first round at a major tournament since 2005. Ferrer had 14 unforced errors in dropping the first set, then had only 24 the rest of the way. Andreev committed 53 unforced errors. The 78th-ranked Russian is a former top-20 player but has been out of the top 50 for more than a year. Milos Raonic beat Igor Andreev 6-4, 6-4 in the opening round at the 2011 Estoril Open. Raonic put pressure on his opponent broke for 3-2 in the opening set. He kept the lead to win the set and continued with his good play in the second set where he broke in the fifth game. Andreev saved a pair of match points in the final game and forced Raonic to save two break points but the Canadian hit service winner to seal the win. In the second round he will play against Joao Sousa. “That will be tough for many reasons: the player, the atmosphere, the home crowd, which can all only help (Sousa) ...,” said Raonic. “I need to find a way to win and stay mature about it all. Hopefully I can come with as good a result as I had today. I’m feeling better and better on clay, playing better with each match. Roger Federer defeated Igor Andreev 7-5, 7-6 to advanced to the third round of the BNP Paribas Open where he will play Juan Ignacio Chela. Federer had just four aces but he won 92 percent of this first service points. Andreev made Federer work for the win Sunday. In the tiebreaker, Federer set up match point by forcing Andreev hit a backhand long then clinched the win when Andreev pounded a forehand into the net. “I played really well,” Federer said. “In the first round, you never have too much expectation and you just hope to get through. It was Federer’s fourth victory over Andreev in four meetings but the first time he had not lost a set to the hard-hitting Russian. “I knew the danger and that’s why I was really pleased with the win today,” said Federer. Igor Andreev beat Blaz Kavcic 6-3, 6-2 in the first round of the Serbia Open 2010 and recorded his 200th ATP win. Andreev converted 4 of the 10 break points he had and claimed the match in 84 minutes. In other results, Ivo Karlovic scored a 7-6 6-4 win Dusan Lajovic, who was making his ATP World Tour debut. Florent Serra defeated Karol Beck 6-3, 6-3 and Evgeny Korolev destroyed Michael Russell 6-1, 6-0. Korolev saved all four break points he faced and converted six of the nine chances. Igor Andreev beat Simone Bolelli 63 64 to advance to the second round of the Monte Carlo Masters. Andreev saved four break points in the first set and broke Bolelli three times overall in the match. Andreas Seppi also advanced after Olivier Rochus retired with a lower back problem. The Italian was leading 7-6. Michael Berrermade it past Evgeny Korolev 6-1, 6-4. Bernard Tomic's match against Benjamin Becker was postponed because of rain. Rafael Nadal has a bye into the second round. Igor Andreev lends a hand to the Habitat for Humanity programme in Miami. Igor Andreev will meet Somdev Devvarman in the first rubber of the Davis Cup tie between Russia and India. Andreev is replacing Nikolay Davydenko and, he was in Mexico playing but made the trip to represent his country. “I was thinking of stay over there to continue practicing for Indian Wells, but I got the call, and am more than happy to play for the Russians,” Andreev commented. 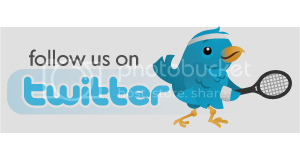 Mikhail Youzhny vs Rohan Bopanna will follow on Friday´s action. Juan Carlos Ferrero defeated Carlos Berloq 6-3, 6-2 to reached the semifinals of the Brazil Openy. Igor Andreev beat Pablo Cuevas 6-1, 6-1, Lukasz Kubot defeated Fabio Fognini 6-2, 6-2, and Richard Mello upset Thomaz Bellucci 6-3, 7-6 (3). "I think tactically I played pretty close to perfection," said Mello. "I knew I had to vary the shots, try to play faster at times, and often create angles. I think I was very consistent during the whole match." "I think Mello played a very good match and credit to him for beating me," said Bellucci. "I started a bit slow in the first set and that probably cost the match. I was playing behind the whole match and only in the end I was able to get some opportunities to win the set. "I've played a lot of matches in the past two weeks, so now I will get some rest and get ready for Acapulco." Four second-round matches were played early Friday, matches that were washed out on Thursday. Bellucci defeated Daniel Gimeno-Traver 6-4, 6-2, and Mello won 7-5, 6-3 over Victor Hanescu. Kubot defeated Albert Montanes 6-2, 6-2, and Fognini came came back to beat Marcel Granollers 0-6, 6-1, 7-6 (1). Roger Federer defeated Igor Andreev 4-6 6-2 7-6 6-0 in the first round of the Australian Open 2010 tennis tournament. In the next round, Federer will play against victor hanescu, who beat juan ignacio Chela 64 63 76. Federer began the tennis match breaking Andreev’s serve and taking a 3-1 lead. The Russian broke back and leveled the set at 3-3 before breaking the world number 1 to claim the set 6-4. In the second set, Federer started to dominate Andreev and took it 6-2. Andreev refused to give up and in the third set broke Federer for a 2-1 lead. Roger broke straight back and then again to lead 5-3 but to the world number 1 surprised the set was not even close to be over. Andreev took the two breaks back and found himself serving for the third set. Andreev missed three set points and Federer forced the tie-break, dominating it 7-2 before grabbing a 2-0 lead in the fourth set. Federer was untroubled in claiming it 6-0 to advance to the second round. Even he needed 2 hours and 44 minutes Federer said he was pleased with his match throughout. “A few hiccups, but I think those are more due to his good play and because of also playing against the wind,” he said. Q. 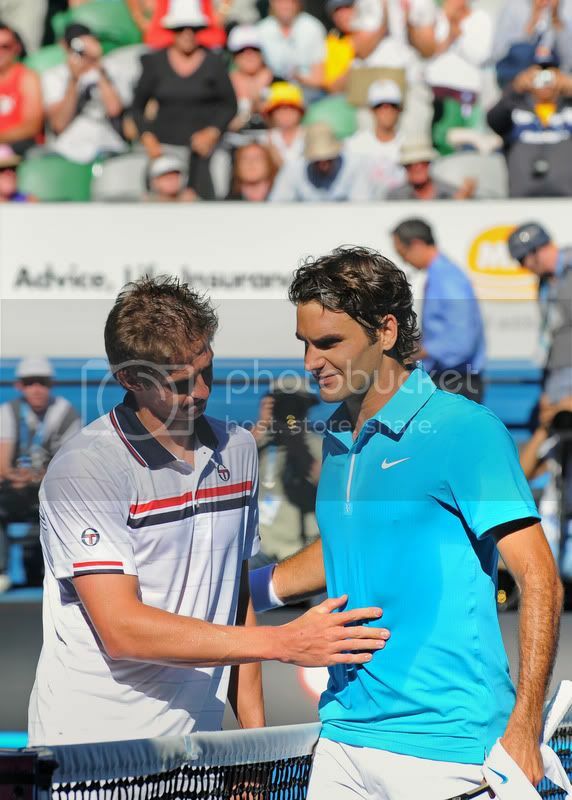 You had three really good matches against Roger. What makes him so hard to put away? IGOR ANDREEV: You mean why he's winning? Q. Yeah. You know, you've had opportunities and you play well against him, but you just can't seem to beat him. IGOR ANDREEV: That's what the difference in the rankings. That's why he's No. 1. But, um, I don't know. Yeah, it was three times really good chances maybe and I don't know to win or not, but still to make a good match. But then something missed, you know, something went wrong. Today, the key point was third set when I didn't use the set points. Then after that, maybe I went a little bit down in the fourth physically, mentally. That's what made the difference. Q. What did you feel when you were up serving for that third set? Did you have a feeling that, wow, I might be able to beat Roger Federer today? IGOR ANDREEV: You know, you never think so far. When you're playing Roger or any good player, you try not to think so far, just about next point. Maybe that's what keeps your concentration very like high level. You don't think too far, so you're very concentrated on every point. But from the beginning of that game, I knew that it was gonna be difficult, because on this side the wind was a little bit breezier, the wind was against. All the third set, the breaks went from the guy who was serving on that side. So it was breaking. I started 3‑Love, and maybe there was a little bit concentration went away. So I thought that it's already in my pocket, and that was a real mistake. Not technique, but just another lose of concentration. Then I had few set points, but still, he was on that side, on other side very comfortable with the wind. You know, playing the balls, like deep balls. So actually, I couldn't do much things. After three, four shots I tried to make a winner and risk a little bit, but didn't work. So, yeah, this is the game. During the game you have these small things which are really making the difference in the match. Q. Yesterday your friend Miss Kirilenko said you had urged her to make a loud noise to enter the year. She said she did that and now it was your turn. IGOR ANDREEV: She put too much pressure on me. (Laughter.) Like after she win the match she said, Okay, now it's your turn. No, I was happy she won yesterday. She won because ‑‑ not only because she won, but she played very good match. Very good tennis. Q. Are you playing doubles? IGOR ANDREEV: Yes, with Evgeny Korolev. Andy Murray started the 2010 tennis season in great form and has lead Britain into the final of the Hopman Cup with a 2-1 win over Russia. In the final they will face Spain. Murray destroyed Igor Andreev 6-1 6-0 while Laura Robson lost 6-4 6-0 to Elena Dementieva. Murray and Robson team up to defeat the Russians 6-4 6-7 10-6 in the deciding mixed doubles. Robson impressed against Dementieva but once the Russian had taken the first set, she cruised through the second to take the win. 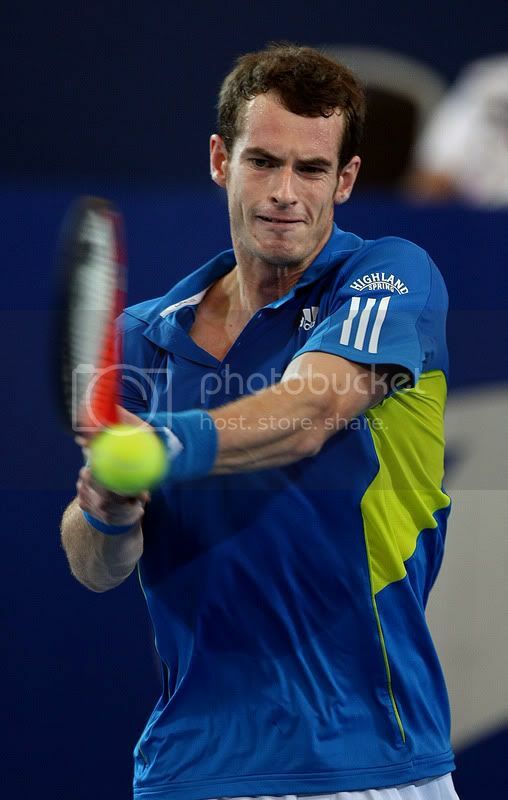 Murray´s performance against Andreev was very impressive. Murray hammered serves, took his returns early and began to try out a few shots, romping through the first set and then blitzing Andreev in the second. “I played really well and didn’t make too many mistakes. I got off to a good start in all of the matches this week, which helps and settled me down a little bit. Today was definitely the best I’ve played so far,” Murray said. “I was very lucky because I was one of the spectators but I didn’t have to pay for the ticket,” Andreev joked after the match. The mixed doubles was another story. Britain led 6-4 4-1 but Russia fought back to win the second set and force a match tiebreak. Murray and Robson held their nerve winning it 10-6 to secure a their place in the final. Dementieva was tremendously impressed with Robson but was glad to get the win. “She’s playing unbelievably well for 15 years old and very enthusiastic on the court – you know trying to hit as hard as possible. She was very professional so I was very impressed with her,” Dementieva said. Russia defeated Germany 2-1 at the Hopman Cup today thanks to Igor Andreev and Elena Dementieva who won their mixed doubles match. Andreev and Dementieva beat Sabine Lisicki and Philipp Kohlschreiber 6-4 7-6. Earlier, Lisicki beat Dementieva 6-4, 6-1 to give Germany an early 1-0 lead and Andreev beat Kohlschreiber 6-3 6-7 6-3. "I don't know, maybe it's the kind of style of his play that is more comfortable for me," Andreev said. "Hopefully it continues like this with Philipp. It was a really tough match for both of us. We played some good points and I'm really happy to start the year with victory." Dementieva was outplayed by Lisicki and wasn't helped by her 10 double faults. "I've been working really hard in the last few weeks in the offseason, so I'm really happy to win that match," Lisicki said. "I want to get higher in the rankings. I did a great job last year so I'm looking forward to this year." Dementieva struggled to counter Lisicki's return of serve and the German said that part of her game had been a big focus recently. "I've been working on it and it's getting better and better," she said. "It's great to have a weapon like that." In this feature from ATP World Tour Uncovered season 1 episode 8, we tour the spectacular city of Moscow, home of the Kremlin Cup, where Russian fans say goodbye to hometown hero Marat Safin. Wayne Odesnik and Robby Ginepri produced upsets at the Kremlin Cup after eliminating two highly seeded players in the opening round. Odesnik defeated Victor Hanescu 5-7, 7-5, 6-4, and Ginepri beat Igor Andreev 6-3 6-7 7-6. Odesnik saved a match point in the 10th game of the second set. He then broke Hanescu in the fifth game of the third set. “I was mentally strong today and stayed with him the whole match,” Odesnik said. Hanescu had problems with the indoor hard court at Olympic Stadium. Jesse Witten earned the first ATP victory of his career at the US Open upsetting Igor Andreev 6-4, 6-0, 6-2. 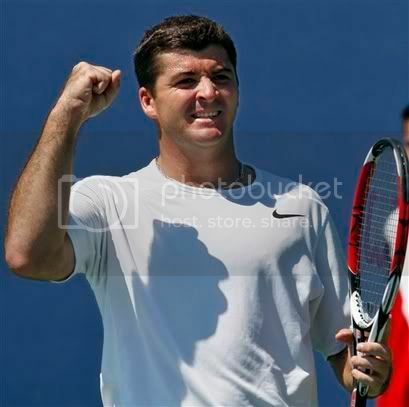 Witten played college tennis at Kentucky, reaching the NCAA singles championship match in 2002. 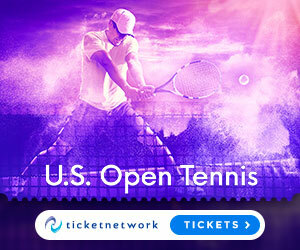 He’s struggled at times as a pro, even considering moving on to another career not long ago, but he stuck with it, and when he plays in important tournaments, he can count on a rooting section. “Whenever I get to a big show, they’re definitely there. They’re always supporting me,” Witten said of his college buddies. He packed about five people into his room in New York this week—“Don’t tell the hotel,” he said with a smile—and now that Witten has a Grand Slam match victory to his credit, their stay in the Big Apple has been extended. One particular person provided some advice that stood out, though.